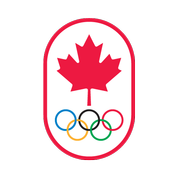 (Ottawa, Ontario – October 8, 2009) – The Canadian Centre for Ethics in Sport (CCES) would like to issue a correction to its August 18, 2009 Advisory Note. No athlete has received a four-year sanction for the use of the prohibited substance Geranamine. The CCES regrets this error. Read more here; CCES Issues Warning against the Use of Supplements, including Geranamine.